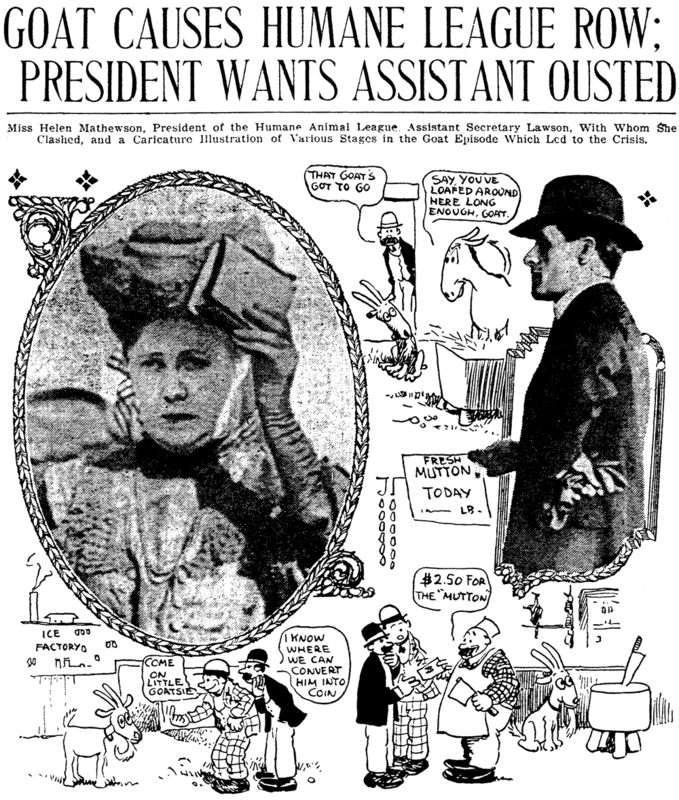 January 26 1909 -- Here's an example of yellow reportage at the local level. It seems that the local humane society was contacted by an ice company. They said that they were sick and tired of an ill-behaved billy goat they own, and for the society to come pick him up. (Why an ice company keeps goats is not explained.) So George Lawson, a director of the society, tasks one of the pound keepers, H.C. Stubbe, with going out to collect the animal. Stubbe gets to the ice company, and (he claims) he tells the people there that he can get $2.50 from a certain local butcher for this nasty goat. They respond, supposedly, that he is welcome to take the goat to the butcher and reap the profit himself. Which he does. When Lawson gets wind of what happened, he sacks Mr. Stubbe for not following his duty to the humane society, but operating for his own benefit. Mr. Stubbe contends he was within his rights because the goat was offered to him privately. Lawson quite rightly sees that any time Mr. Stubbe can realize a financial windfall from an animal, that the society will never see it if he allows this behavior, so he is unmoved. Apparently Mr. Stubbe then offers the $2.50 to the society to get himself out of trouble, but Lawson still wants him gone. Mr. Stubbe then goes crying to the ladies in charge of the society, including president Helen Mathewson. The tender-hearted ladies take pity on him and say he can stay on. When Lawson finds Mr. Stubbe showing up for work the next day, and finds out that Mathewson overrode his decision, he makes the case to them that he has to maintain discipline and that reinstating Mr. Stubbe has made it impossible for him to be taken seriously by his employees. Well, Mr. Stubbe must be a VERY persuasive fellow, because the result was that Mathewson is now considering letting go of Lawson to "maintaion harmony." An interesting enough story, indeed, but the paper is having much too much fun concentrating on the billy goat angle, which is at best a side-issue, and turning a leadership problem into a circus. clearly you will need to read my book, THE GOAT GETTERS, which should be out from IDW/Ohio U Press within a year from now. Here's a divided-back postcard from the great Zim -- Eugene Zimmerman -- who I gather published his own postcards for a while. Leastways, the only identifying information on this card on the reverse is a logo of a walking man carrying a giant something-or-other with the letters "Z - I - M" on it. As Zim had a good entrepreneurial streak, it wouldn't surprise me that he set out on his own to make some bucks off the postcard fad. For those young whippersnappers who don't get the joke, don't feel bad. Only great grandpa would probably know that in the bad old days a "grip" was a soft-sided suitcase, and "the grippe" was a bad cold or flu. I'm really enjoying your postcard posts! You have a great, and looks like extensive collection. Thanks for sharing them. This is actually published by H.G. Zimmerman of Chicago. They also had some art by someone who went by "D.P. Crane" but I don't know who that is. Great art on this one! The rubbing out of Ben Thompson and King Fisher impelled an abrupt change in the Koenigsberg menage. The multiple killing had occurred only a block away. The shooting rattled the dishes in the kitchen. It was an exciting neighborhood, but the excitement was scarcely exhilarating. There was little at hand to nurture the tranquil spirit of family life. Moving plans had been under consideration. They were acceler­ated by the saturnalia of slaying in the Crystal Palace. Soon we were installed on a six-acre farmstead a hundred yards inside the city limits. From the nearest open street, a mile south, a narrow lane had been chopped through the mesquite and cactus chaparral. On the north the tract was skirted by the crest of an arroyo, through the bed of which trickled Alazan Creek. The ravine twisted around the eastern boundary of the homestead, rearing on the opposite side an escarpment seemingly designed by nature for the nocturnal pursuits of the chaparral carnivora. To the west stretched far beyond a day’s riding a mesquite prairie as yet unruffled by the fingers of men. Here one might rear a family remote from the vicious and vulgarizing influences of a “wide-open” sporting center. Here one avoided the obscenities of a human ferment of frontier lustiness. That there was a dearth of neighborly communion might prove as much a boon as a bane. The nearest habitation was a mile away. It wasn’t distant enough to avert unfriendly collisions. My oldest brother, Louis, then sixteen, had hoppled his saddle-horse to graze outside the corral. It disappeared. The next day he found the pony tethered to a stake two miles north. A man with a shotgun claimed own­ership. In the ensuing tussle the gun exploded. When the ashen-faced lad came galloping home, his shirt drenched with blood, the Koenigsberg household was convulsed in panic. The fact that Louis was unscathed did not quell the alarm. He had been at grips with imminent death. Wouldn’t it be safer in the heart of the city where, even though men killed each other, they didn’t attack your own flesh and blood? Not until my parents learned that the wounded man would re­cover was their anxiety allayed. Domestic routine was resumed with only occasional flurries of apprehension to quicken the pulses beyond the pitch set by the commonplace whirring of rattlesnakes and the nightly howling of packs of coyotes along the Alazan. At daybreak, a buckboard wagon carried my father and oldest brother three miles to business in town. Dinner was served on their return in the evening. Half a mile along Alazan Creek and another mile and a half of gumbo road brought me to the Marshall Street School. Juvenile dreams of journalism derived no point, color or vitality from this setting. Nor were they enlivened by the books I de­voured with more avidity than discrimination. My first novel, Scottish Chiefs, by Jane Porter, had sent me scampering through shelves of classic fiction. There was a wide assortment of litera­ture, but it consisted in the main of the mid-Victorian library of a young lady. Most of the books had been selected for my older sister to assuage the crudities of pioneer isolation. Nowhere in all those pages or in any of the circumstances or conversations around me did I find anything that recalled the emblazoned fig­ure of the young newspaper reporter in Justice Anton Adam’s court. A warmly cherished aspiration was languishing from mal­nutrition. Then came my transfer to the San Pedro Avenue High School. It was a large building designed to accommodate four grammar-school classes in addition to the upper grades. Soon I heard of Otto Praeger. Pupils talked about him in whispers. He owned a real printing press. It was small enough to carry in your hands and yet capable of producing a four-page sheet. In fact, he printed a paper regularly. Among other items, it contained news of the high school. He got that news himself. He was a reporter for his own newspaper. There are many penalties of precocity. I paid them all; but one of the major offsets was an inspiring friendship with Otto Praeger. It impressed a permanent pattern on my life. There was fuzz on his face, but none on his brain. He talked with more clarity than any of my teachers. His sanctum and place of publication occupied a small space off the living-room in the family residence above his father’s hardware store on East Commerce Street. My first visit imparted a thrill I have never forgotten. The smell of printer’s ink titillated my nostrils with a sense both pleasant and lifting. Even today, a whiff of that pungent odor sets the memory awhirl over the intervening decades. Otto dramatized for me the unique field of journalistic service. The story of Henry M. Stanley’s search for David Livingstone was his text. Otto set out in minute detail the newspaper back­ground of Stanley’s exploit. He recited how, when the scientific world abandoned hope for the life of Livingstone a year after his disappearance, James Gordon Bennett, owner of the New York Herald, assigned his star correspondent, Stanley, to determine the fate of the missing explorer. He amplified the enterprise of Bennett and the daring and fortitude of Stanley. Together, they reflected only one of the heroic phases of newspaper endeavor. Young Praeger had the passion of an evangelist, but the suasion of his enthusiasm was superfluous. He had already clinched the rivet by which my ambitions were fastened. Through journalism, we agreed, ran the path of a modern knighthood. The idea took form in a fittingly florid period fashioned from several quotations —“The printed word is the mightiest force ever clasped by hu­man hands and a line of type may win greater succor than ten thousand lances.” That would be an appropriate inscription of dedication for a temple symbolizing the Fourth Estate. Some day, we’d see that such an edifice was built. Meanwhile a shibboleth must be selected for paladins of the pen. We chose the instruction of Godfrey of Bouillon—“Thou shalt be everywhere and always the champion of the right and the good, against evil and in­justice.” Often since then I have puzzled over the quaint irony of life that held the' disciple to the course the apostle afterward forsook. The newspaper lost one of its staunchest idealists when Otto Praeger’s career was diverted into governmental service. The first practical step toward my chosen future was to become Otto’s colleague as an editor and publisher. Type and a press like his were necessary. I approached my father. The result was flab­bergasting. Earnest conferences with Otto Praeger followed. He was a tower of strength. He didn’t question the sincerity of the paternal decision. He attributed it to misleading evidence. It was true that nearly all the newspapermen my father had seen were assiduous topers. One of them, the most conspicuous editor in town, was a peripatetic exhibit of alcoholic effects. But the tippling of newspapermen was no part of their calling, Otto reasoned. In fact, it militated against their professional suc­cess. It was merely a surrender to temptations more frequently offered to journalists than to followers of other callings. Many laymen sought favors from the press. They were prone to urge upon journalists a barroom hospitality that they withheld from others. Yielding to such blandishments betrayed a personal weak­ness instead of a professional flair. Otto’s reasoning offered no solution of my financial problem. But one could not be a journalist without resourcefulness as well as perseverance. The Koenigsberg shop on Soledad Street had been succeeded by a larger establishment on West Commerce Street. A woman operating a novelty bazaar next door had on several occasions asked me to run errands. She might be willing to pay regularly for such service after school hours. An arrange­ment was negotiated at a dollar a week. This, with scrapings of quarters and dimes from other indulgent sources, yielded at the end of three months the price of a font of type in a printer’s rack. Still there was no prospect of space for an operating plant so long as paternal opposition persisted. But the quest for facilities to match Otto Praeger’s publishing establishment had enlisted a powerful ally. The manager of the Maverick Printing Company on Houston Street evinced a lively interest in the forthcoming publication. He provided a nook in which I could set my own type from my own rack. The need for a press was obviated. He would have the type made up and run off on a little job "kicker" —a machine operated by pedal power. But all this was contingent on the payment of costs. The man­ager was willing to help personally; but he could not give away any paper-stock or labor belonging to his company. Five hundred copies of each issue, of four pages, 8 1/2 x 11 inches, printed from the type I set, would cost five dollars. If my father wouldn’t sup­ply the funds, why didn’t I solicit advertising to cover the amount? The canvass for advertising scarcely measured up to scientific methods. But it produced results beyond the planning. Not only did it assure a cash surplus over costs, but it leavened the rigor of paternal disfavor. My father’s objection to newspapermen was limited to reporters and editors. If his son developed a penchant for business activity, such as advertising, it might prove a saving grace. My father decided to become one of my advertising patrons. Now only one gap remained in a complete structure of news­paper operation. The editor must have a sanctum. The family abode on Alazan Creek, three miles away, was unfeasible for office purposes. There was some unused space, approximately three feet wide and three and a half feet deep alongside the double-door entrance to the Koenigsberg store. It became a hidden recess when the doors were open. But there was no disposition to make this space available for an out-and-out editor. Considerable negotiation was required. There would be no advertisements, it was pointed out, without editorial matter to warrant publication of the paper. If the advertising solicitor’s activity depended on the functioning of an editor, opportunity should be accorded to both. The argu­ment prevailed. An empty packing case was converted into a usable desk, un­painted and unadorned, but with a projecting leaf on which to write, hooks and spindles for proofs and manuscripts, and draw­ers for bills and letters. Here were assembled the contents of The Amateur, published in the year 1888. The first edition appeared when I was nine years and eight months old. That the title was a misnomer was directed sharply to my attention by the Southern Amateur Press Association. I had applied for admission. A curt note of rejection apprised me that membership was not extended to publications that accepted paid advertisements. Exclusion from amateur rating apparently whetted the editor’s pertinacity. This conclusion is warranted by an examination of the issue of December, 1888. It covered the range of a general publication. It presented, in addition to news of San Pedro Ave­nue High School, an analysis of the national election of die previous month, a serial fiction story from the pen of the editor, brief editorial comments on a variety of topics, some bits of humor and—grave harbinger of the militant years ahead—an expose of fortune-telling. But the spirit of the crusader was arrested for a while by the editor’s first clash with special privilege. Tenancy of the space allotted to the sanctum inhered in the performance of certain oral covenants. One stipulated a regular task with a broom. A dispute arose with my brother, Louis, as to our respective responsi­bilities under this compact, and when an impasse was reached in our dispute, Louis cut the Gordian knot by picking up the furniture and office equipment of The Amateur and dumping them, with one swoop, on the rubbish heap in the back yard. It was a debacle. Even the presumptuousness of the editor of The Amateur could not withstand such humiliation. All the forces and resources of journalism could not avail against this adversity. And so perished my first newspaper. There had been fifteen issues over a period of eighteen months. Otto Praeger softened the shock with the announcement that at least I had established a record. No other boy at an age within a year of mine had ever edited a newspaper regularly produced on a printing press. There was no time to lament the loss of operating profits, though they had been of considerable importance. Thirty-six inches of advertising at 25 cents an inch had earned a gross of $9, leaving a gain of $4 on each issue. But the hours became too full for such regrets. Every moment out of school was consumed in completing a novel, The Dune’s Chamberlain, in a comprehen­sive course of reading laid out with Otto’s collaboration and in a drastic program of physical training in preparation for the hard­ships and hazards of real journalism. Lawrence Carmine “Larry” Tullipano was born in Port Chester, New York on October 2, 1912, according to his Social Security application. Tullipano was also known by the first name Lorenzo. The 1920 U.S. Federal Census recorded Tullipano as the oldest of two sons born to Salvatore and Amelia, both Italian emigrants. His father was a laborer. The family resided in Rye Township, Port Chester Village, Westchester County, New York, at 125 Purdy Avenue. In the 1925 New York state census. the Tullipanos lived in Rye at 63 Spring Street. The census enumerator misspelled the family name as “Dulipano”. Tullipano has not yet been found in the 1930 census. 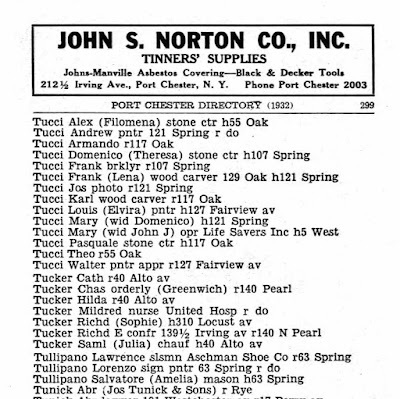 A 1932 Rye city directory listed “Lorenzo Tullipano” in the business section under “Sign and Card Writers”. 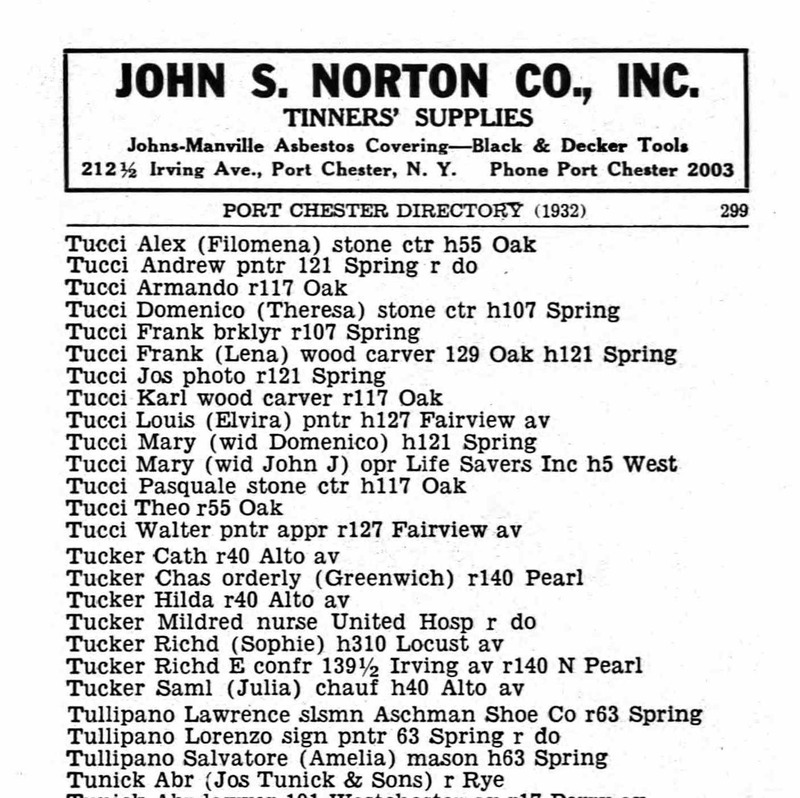 In the directory’s residential section was “Lorenzo Tullipano sign painter” and “Lawrence Tullipano salesman Aschman Shoe Company”. All resided at 63 Spring Street. 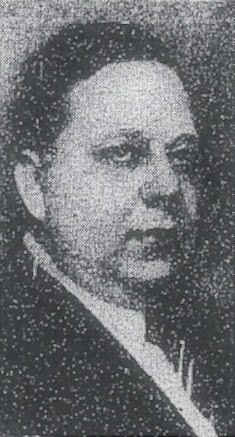 According to the 1940 census, Tullipano was the head of the household which included his brother and grocery store manager, Arthur, and an aunt, Antoinette Di Raffaele. Tullipano was a sign painter operating a sign store. They lived at 63 Spring Street. 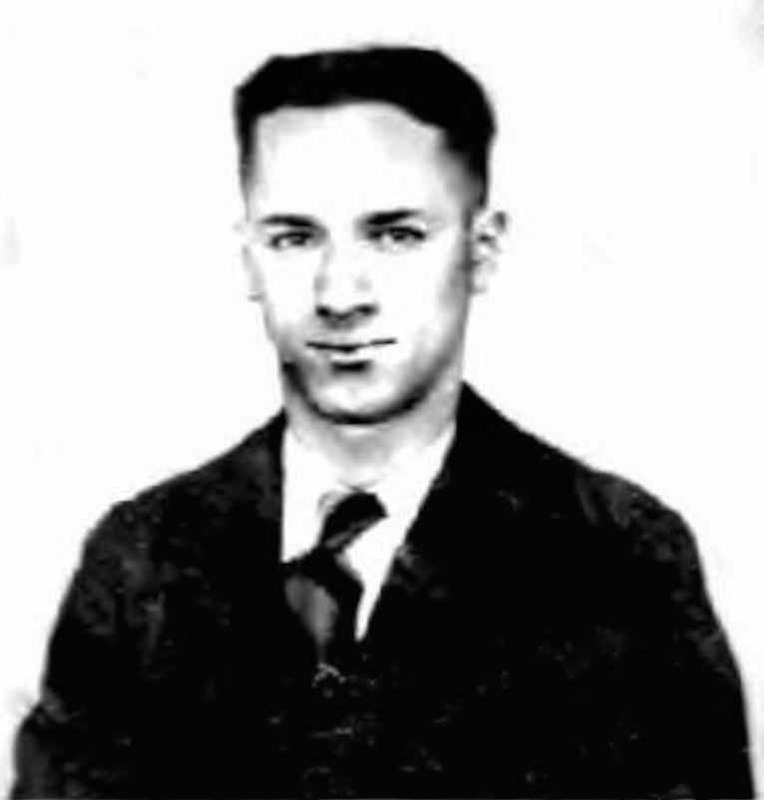 During World War II, Tullipano enlisted in the army March 23, 1944. He was married and a commercial artist who had two years of high school education. American Newspaper Comics (2012) said Tullipano was one of Lank Leonard’s assistants. 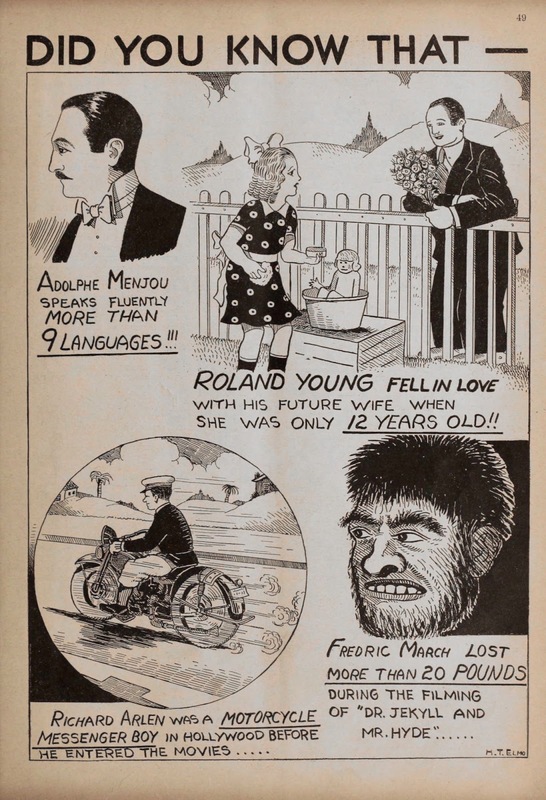 Leonard, who also resided in Rye, was a sports cartoonist who created the strip Mickey Finn which ran from April 6, 1936 to November 29, 1970. The McNaught Syndicate strip was continued by Morris Weiss, another assistant, from November 30, 1970 to September 10, 1977. During Mickey Finn’s run, a character named Tullipano was mentioned and appeared in the 1945 strips dated January 17 (below), 18, 19, 20, 24 and 25 (below). The character was mentioned again March 14, 1945 (below). Jaffee told me to wait in the bullpen and he went to Stan [Lee] and came back, “You’re rehired, but in the event we have to let more guys go, you’ll be the first.” But I stayed on until they let everybody go in 1950. Kenneth Tullipano who has been doing supergraphic painting for three years, is a 26-year-old graduate of SUNY at New Paltz, where he studied graphic arts. Tullipano, who grew up in Port Chester, comes by his talent naturally. His father is a commercial artist and sign painter by profession and a painter of oils by avocation. Tullipano passed away February 8, 1999. The Social Security Death Index said his last residence was Rye Brook, Port Chester, New York. 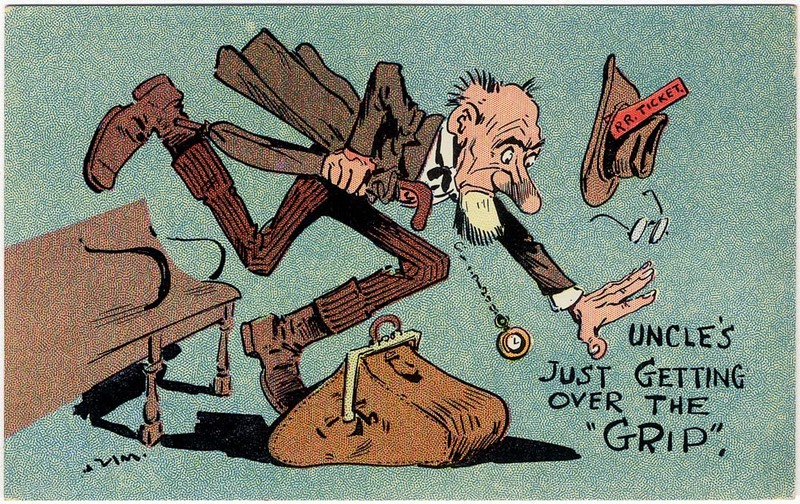 As successful as Danish cartoonist Werner ('WOW') Wejp-Olsen is around the globe, his strips distributed by syndicates in the States really tanked pretty bad (see The Maestro and Amalita and Granny and Slowpoke) until Professor Yuk-Yuk's Cartooning Class started to turn around his fortunes. Cartooning instruction features have a checkered past throughout the history of newspapers, with most being both useless as instruction and severely limited as entertainment. Wejp-Olsen definitely did not succeed in terms of teaching cartooning (find any useful cartooning instruction in the samples above and win a prize), and the entertainment was a bit sparse, too. I guess he hoped to create a fan base by offering to run the work of amateur cartoonists. How a cartoonist in Denmark could keep abreast of reader submissions in the States back in the 1990s B.E. (Before Email) is beyond me, but he always seemed to have enough submissions for the Sunday-only series. United Feature Syndicate distributed the series from February 4 1990 to June 26 1994, an absolute infinitude compared to his prior American series. Werner Wejp-Olsen is probably better known now for his long-running 'Crime Quiz" series. "How a cartoonist in Denmark could keep abreast of reader submissions in the States back in the 1990s B.E. (Before Email) is beyond me"
I should add that starting in 1989, Wejp-Olsen left Denmark for the States (Carlsbad, CA was where he lived and worked at the time). Horace Theodore Elmo was born Arazio Elmo in in Manhattan, New York City on April 3, 1903, according his 1925 passport application. In the 1910 U.S. Federal Census, Elmo was the sixth of seven children born to Joseph, a barber, and Josephine. His parents and five older siblings were born in Italy. The family lived at 430 East 11th Street in Manhattan. According to the 1915 New York state census, the Elmo family resided in Brooklyn, New York at 355 Atkins Avenue. The 1920 census recorded the Elmo family at 878 Kelly Road in the Bronx, New York. Elmo’s occupation was stock clerk in the exporting industry. His father’s birth name was Sebastian, who brought his family to America in 1900. Information regarding Elmo’s art training has not been found. 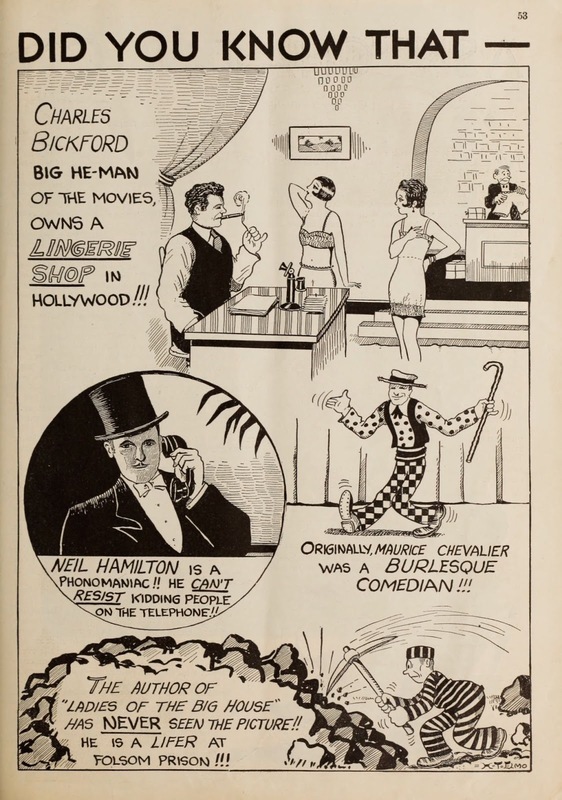 Apparently some of Elmo’s earliest cartoons appeared in 1923 issues of Judge on its Amateur Page. A crew list said Elmo was an assistant steward on a steamship from April 5 to May 27, 1923. He was aboard the steamship Ulua when it traveled from Havana, Cuba to New York City. Elmo’s second trip to Cuba was in May 1925. The passenger list recorded Elmo on the steamship Siboney and his address as 2516 Grand Concourse, Bronx, New York. On March 4, 1925, Elmo applied for a passport so he could visit his father in Italy. Elmo, his mother and two siblings resided in the Bronx at 30 Buchanan Place as recorded in the 1925 New York state census. Elmo’s occupation was cartoonist. The Editor & Publisher, June 5, 1926, listed Elmo’s Little Otto daily strip which was to be syndicated by Wheeler-Nicholson. It’s unclear if the strip was ever published. The New York, New York Marriage Index at Ancestry.com said Elmo married Martha Oliver on May 15, 1928 in Manhattan. The couple returned from a trip to Havana, Cuba on March 3, 1929. The passenger list recorded their address as 1304 Grand Concourse, Bronx, New York. Elmo lived at 2497 Grand Avenue in the Bronx according to the 1930 census. His occupation was newspaper cartoonist. It’s not clear what happened to Elmo’s wife, Martha, but he remarried, on February 3, 1931, to Vilma A. Molnar. Elmo drew six installments of Did You Know That for movie magazine Picture Play in these issues: November 1932; December 1932; January 1933; February 1933; April 1933; and May 1933. The second half of the 1930s was a very productive period for Elmo as an artist and packager. American Newspaper Comics (2012) said Elmo produced several strips and panels for his syndicates Lincoln Newspaper Features and Elmo Features Syndicate: Facts You Never Knew, The Fizzle Family, Goofus Family, It’s Amazing, Puggy, Sally Snickers, Some Fun!, Tell Me, and Useless Eustace. Other Elmo syndicate properties included Dash Dixon, Detective Riley, Laughs from Today’s News, Little Buddy, Our Puzzle Corner, Socko the Seadog, and Your Health Comes First. Jack Kirby contributed to several of the aforementioned comics. Kirby also drew these strips for Elmo: Abdul Jones, The Black Buccaneer, Cyclone Burke and Socko the Sea Dog. So far, these four titles have not been found in any copyright catalogs. Detective Riley, Goofus Family, and Little Buddy were listed in the Catalog of Copyright Entries, Part 1, Group 2, Pamphlets, Etc., 1935, New Series, Volume 32, Number 12. Dash Dixon and Laughs from Today’s News appeared in the next volume, Catalog of Copyright Entries, Part 1, Group 2, Pamphlets, etc., 1936, New Series, Volume 33, Number 1. The second number included Your Health Comes First and the third number had Facts You Never Knew. Copyrighted in 1942 were Sally Snickers and Useless Eustace. It’s Amazing was a copyright entry in 1943. In 1950 Elmo drew The Rhyming Romeos which was copyrighted by Famous Funnies. The 1940 census recorded Elmo, his wife and two children, Elaine, age 7, and Horace Jr., age 2, at 3436 Corsa Avenue in the Bronx, New York. Elmo was a freelance cartoonist. The Ayer Directory: Newspapers, Magazines and Trade Publications (1945) had this listing: “Lincoln Newspaper Features…..Comics, news features, photos…..2 W. 46th St., New York, N.Y.
Elmo provided artwork to the Casualty & Surety Journal in 1943 and 1944. Who’s Who of American Comic Books 1928–1999 said Elmo produced material for DC and Marvel Comics in the 1940s and 1950s. A Walter Winchell column, published January 29, 1955 in the Kingsport News (Tennessee), said Elmo was a cartoonist at the New York Evening Graphic. Elmo’s daughter’s wedding was reported in a 1955 issue of Army, Navy, Air Force Journal. Paperback book publisher, Ace Books, published these books by Elmo: Modern Casanova’s Handbook (1955); Honeymoon Humor (1956); Hollywood Humor (1957); and Mad. Ave. (1961). Elmo wrote The Golden Picture Book of Questions and Answers (1957) and co-wrote, with Nancy Fielding Hulick, Quiz Fun (1959). Elmo passed away on October 23, 1992 in the Bronx, New York, according to the Social Security Death Index. I am selling my Humorama books and I found an H. T. Elmo cartoon in Laugh It Off V1 #6 1961! I'm fascinated by H.T. Elmo, whose main claim to fame I guess is that he gave Jack Kirby his first big break in cartooning. I'm more interested in his entrepreuneurial acumen, though. While he was syndicating grade B content to a very small list of weekly newspapers in the 1930s, he was also selling his wares to other venues. He seemed to have had a gift for selling to trade magazines, and produced strips and panel cartoons for several of those publications. In the 1940s, he shrugged off the Lincoln Newspaper Syndicate for some reason, and started the Elmo Newspaper Syndicate. This syndicate also marketed mainly to weeklies, and most of the material for this syndicate was produced by Elmo himself, often under pseudonyms, with some help later on from Ruth Roche and Jerry Iger. What's really impressive is that Elmo managed to sell the same material for decades (yes, decades!) after he produced it. This was a guy who must really have known how to sell. Useless Eustace was one of his flagship features of the new Elmo Features Syndicate. As far as I can tell, Elmo produced this strip from approximately 1941 to 1946. I've never seen an example in print before 1942, but the strip numbering would seem to make 1941 the logical start date, unless Elmo banked a big batch before he started syndicating. The highest numbered strip I've found is #272, giving weekly newspapers about 5 1/4 years worth of material to run. Early on in the run, Useless Eustace was signed 'Jackson' (through #48), though it was obviously Elmo at the helm. Elmo signed as 'Hank' Elmo for a short while, then went by his real name on the strip, thus signalling that it was one of the offerings of his syndicate of which he was most proud. The character Useless Eustace started out as a hillbilly in the mold of Snuffy Smith, but that aspect was dropped after 40 or 50 strips, and Eustace became more of an everyman. He did join the wartime military for awhile, and was stationed in Japan after the war for a short batch of strips. I'm surprised Elmo did that, because those current events-based strips weren't resellable later. Elmo must not have been thinking ahead in those days. After the initial run came to an apparent end in 1946, the reselling began. In many cases, syndicates trying to resell their material fall flat with very few clients. Elmo, on the other hand, seemed to be able to sell his offerings better in reprint (perhaps because he offered bargain basement prices). In the 1950s, he added a few new offerings, mostly from Jerry Iger and Ruth Roche, but all the material was continually resold well into the 1970s, when these strips must have looked awfully outdated. This strip reminds me of the old chidren's record, "Eustace the Useless Rabbit", which dates to the early 1950s.